The quarterly earnings report is a major event for public companies where they file and release data about their revenue and costs, as well as projections for the future. You might see a headline about a company that “beats” or “misses” on earnings and then notice that its stock price has done something counterintuitive—gone up on a miss, or gone down on a beat. What’s the deal with that? In this article, we’ll explore this topic to help you separate the wheat from the chaff. What from an earnings reports affects share price the most? And, perhaps more to the point, how can a long-term investor see past hype or hysteria to make independent judgments about an earnings report? How Does An Investor See Past Earnings Hype? Think of the earnings report as the most recent chapter of a business’s reality, including the most up-to-date (i.e., reality-based) version of predictions for the future. While the report may contain objectively good or bad news regarding revenue and earnings, it is really benchmarked against investors’ expectations about it. The whisper number is supposedly what the analysts really think, which is heavily guided by the company (just like the official number), but also factoring in the company’s history of beating estimates, plus any rumors on the street about how things are really going. It is an unofficial number that can vary considerably from published expectations. The company’s quarterly performance and guidance is movement is generally compared to the whisper number, as the whisper number is usually priced into the stock already. So a reported “beat” on earnings might be a “miss” compared to the whisper number. In that case, you’d probably see a drop in the stock price. There are a few scenarios when you might see a price drop on seemingly positive news. As described earlier, this could happen if the positive news is simply not as positive as investors expected (below the whisper number). Or, if the forward guidance is lower than what it was expected to be—this might include a decrease in the expected growth rate, an increase the spend rate above what was previously expected, or a projected decrease in margins. The market may also be reacting in an outsized way to a specific piece of qualitative information from the earnings report, such as pipeline concerns for a drug company. A price jump on seemingly negative news could be due to the inverse of any of these scenarios. This is an important question. Watching a stock take a dive after what seemed like a pretty good earnings report, or vice versa, can be unsettling and cause you to second-guess yourself. While a little humility is never a bad thing in investing, you don’t want to get swept up in a temporary hot-headed trend. In order to avoid succumbing to earnings-related hysteria, you must take a long term view of the company and believe that over time it will become more valuable. Most importantly, you must believe that the market is underestimating the long term prospects of the company. The quarterly reports gives you a way of checking your thesis against reality to ensure you are still committed to your beliefs about the company. It’s possible that information in the earnings report will materially change your ideas about the company, and that may or may not align with how the market has reacted to the report. Current quarter’s revenue growth versus last year’s and forward revenue growth. Is the company on a good growth track? Ramp rate of spend—are cap ex (capital expenditures) and SG&A (selling, general, and administrative expenses) increasing at a rate that doesn’t seem justified given revenue growth? Margins and expected forward margins. Are they compressing, expanding, or steady? Compressing margins could mean that the company is slipping in its efficiency or facing greater competitive threats. If an acquisition is happening: the price paid, the expected synergies it will bring, and the cost of debt financing. Plus, any possible legal hurdles or impediments. Do you think the acquisition is the right direction for management to take, or are they just empire building? Although there is no perfect quantitative formula for predicting the future, these data points will provide solid grounding to help you keep a cool head in making investing decisions. That’s all for now. We hope this article will help you navigate the choppy waters of earnings season. Best of luck to you! You hear a lot about earnings reports provided by companies that are based on criteria the companies created, usually trying to present the results in more favorable light (should I say “huge favorable light”). I also read that it is becoming more prevalent. They just don’t want you to see it in the bottom line. There is an explanation for all big losses. The reporting in SEC filings are suppose to be in accordance with GAAP (Generally Accepted Accounting Principles) (as I understand it), a uniform accounting presentation. So, when we see all this info on Per/Share on Yahoo, Bloomberg, Morningstar, I’m never sure if the it is the company info or what. To the point: is Stock Rover info from other sources GAAP or non-GAAP? Agree that is it becoming a bigger problem. Stock Rover reports GAAP for all its financial data. Note that the Analyst Future Earnings Estimate data is Non-GAAP as that is how the analysts do it. 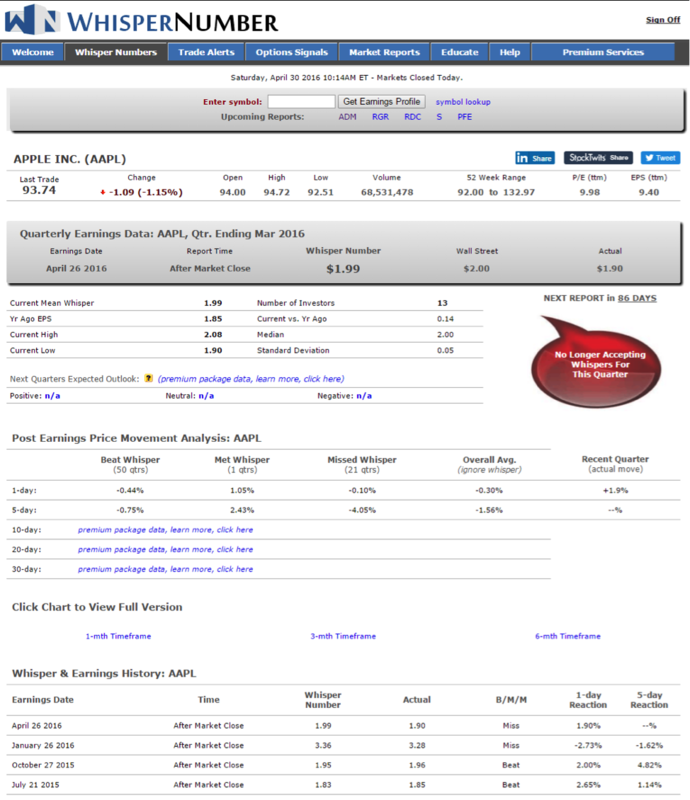 Many earnings reports report a second number “after special items” what are these? And are they significant? It seems we should evaluate earnings including special items. Definitely want to evaluate earnings reports including special items. That is why it is important to evaluate by the GAAP numbers which Stock Rover does, rather than the non-GAAP numbers which the company prefers because they are usually more favorable.